Reducing Valve, technical teaching equipment for engineering - Heat Transfer Training Systems and Heat Lab Engine Trainers. 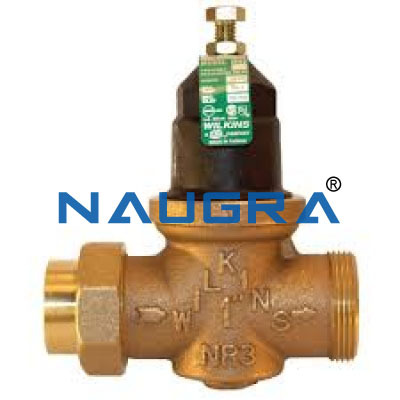 Reducing Valve Model to the clients in best quality. The equipments we offer have very high durability and very long lasting feature. Designed in tandem with international quality standards, they are highly demanded by the clients due to their long lasting, fine workout in affordable prices. We are leading manufacturers, suppliers & exporters of Reducing Valve - Heat Transfer Training Systems and Heat Lab Engine Trainers for engineering schools. Contact us to get high quality designed Reducing Valve - Heat Transfer Training Systems and Heat Lab Engine Trainers for engineering schools for schools, colleges, universities, research labs, laboratories and various industries. We accept bulk orders for government tenders in all countries around the globe.